It seems to be a popular thing to release an 'Acoustic' album after a new studio album. This is what Hillsong United have done with this new album titled the Zion Acoustic Sessions. Read More It seems to be a popular thing to release an 'Acoustic' album after a new studio album. 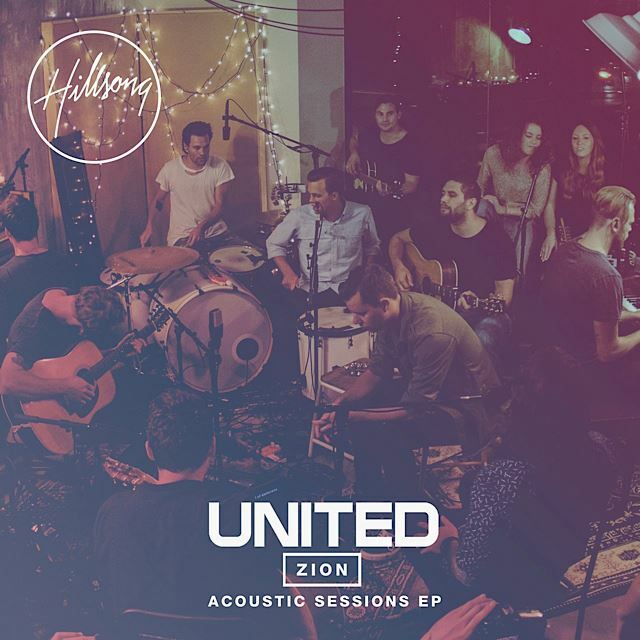 This is what Hillsong United have done with this new album titled the Zion Acoustic Sessions. Now I am a massive fan of the original 'Zion' album, I think its sound and style is what made the album so stunningly beautiful. I have to admit I was kind of worried what the songs would sound like in these new stripped back versions. Would the songs loose their power once the studio magic was taken away? I wasn't sure the songs would work since the studio versions are so full of creative and interesting sounds that might not be easily recreated in a live acoustic room. But the moment I put this album on, I realised that I needn't have worried. The songs sound as powerful and interesting as they did on the original studio album, just in a very different way. Basically this album is a track by track copy of the studio album. I found myself singing along to opening track Relentless straight away. I do wonder if on this album I have spent more time just listening to the words of the songs instead of being distracted by the music. Up In Arms sounds so gentle and elegant you don't want to break it. Have a listen to this lullaby-esq version of the song and you will know what I mean. The same could be said of the brilliant Scandal of Grace. There are so many great lines in this song, "The cross has taught me to live, and mercy my heart now to sing". The way this song has been recorded sounds like a small army of friends singing their hearts out. Who doesn't love the song Oceans. This version is just something else. I thought I had heard the best of this song until I pressed play on this track. Then there are stunning tracks like Love is War and Stay and Wait which sound simply wonderful. Of course as you would expect, some songs work better in this setting than others, but I'm impressed that Hillsong United have tried every song on the album. I have to admit I was a bit on a cynic about this release at first, maybe I was too much of a fan of the sound of 'Zion' for it be changed. But you can't get away from the fact that this album has a real sense of something special happening in the room. If you put a bunch of people together who want to worship God, mixed with creative musicians and great songs, this album is what comes out. There really is something special happening on this album.